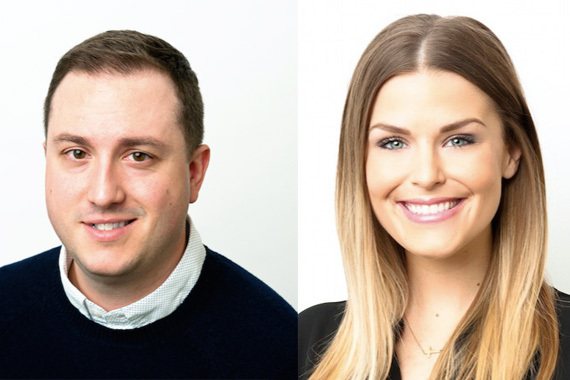 FlyteVu, a full-service marketing agency founded in October 2015 by former CAA agent Laura Hutfless and former WMN executive Jeremy Holley, has expanded its staff. Ryan Milby has been hired to oversee Creative, while Natalie Logan has been hired to oversee publicity. Milby’s experience includes more than a decade of work in interactive art direction and web-based design. He served as Interactive Design Manager at Warner Music Group and has produced digital platforms and creative content for artists including Blake Shelton, Hunter Hayes, Randy Travis, Brett Eldredge, as well as late night host Jimmy Fallon. Logan was previously an Account Supervisor at Rogers & Cowan in Los Angeles where she planned and executed public relations campaigns in an array of industries. She has worked with clients such as Maserati, The Recording Academy, The Venetian Macao, Mondrian Los Angeles, Warner Bros. Studio Tour Hollywood, Columbia Sportswear, UPTV, and more. Additionally, she has worked on Academy Award campaigns and managed on-site activations at festivals and events including Sundance Film Festival, Zurich Film Festival, and New York Fashion Week. “We’re excited to have Natalie and Ryan join the FlyteVu family and help further our commitment to help brands navigate the music landscape. Their individual experiences will be a valuable resource as we continue to grow our team,” said Holley.